Bayfront Park has a great amphitheater and is conveniently located in the heart of Downtown Miami. It's easily accessible by Metromover (the Bayside stop leaves you across the street from the park) and there's always something going on here. When the weather's cool it's the spot for a weekly Friday night Downtown Concert Series hosting a variety of local musical acts. The remainder of the year it's the site for great Fourth of July and New Year's Eve bashes. They've got Yoga in the Park Monday and Wednesday nights and Saturday mornings, boat charters and para-sailing and for a no-fuss lunch, the ever-popular lunch trucks (there are several ones that park here on different days of the week) offer a great alternative to a sit-down restaurant and the view can't be beat. Alligator wrestling to the Miccosukee Tribe is a tradition that's handed down from generation to generation. It is an important part of their history and one of the main attractions at the Miccosukee Indian Village. Tribesmen perform several times throughout the day, putting themselves up against these ferocious animals in a pit. It's more than just entertainment, they utilize skills that are mastered and perfected after years of practice and training. It's best to spend the day at the Village since the trek is far but there is plenty to do. Explore the grounds, shop for arts & crafts, watch the tribeswomen sewing intricate pieces and dine at the on-site restaurant. [caption id="attachment_53249" align="alignright" width="300" caption="Arturo Sandoval trumpet blaring at Jazz at MOCA"] [/caption]It's a scene to behold in the heart of downtown North Miami on the last Friday of the month when the Museum of Contemporary Art hosts their monthly Jazz at MOCA event. It's become the place to be and it's no wonder, they get some stellar jazz musicians to play here. First off, it's just a nice event, people bring blankets, set up a nice picnic under the stars with wine and other goodies and settle in to watch performers play and sing their hearts out in their cool bandshell. 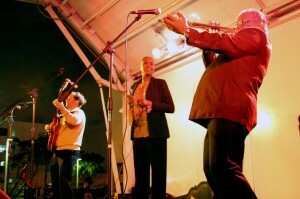 They've hosted such greats as trumpet great Arturo Sandoval, local favorite Ira Sullivan and jazz vocalist Nicole Henry. Great trios and quintets perform too and they get the crowd clappin' and foot tappin'. As an added bonus, the museum stays open late so jazz lovers can stroll through and see the exhibitions. Just the car ride to Jungle Island is glorious with cruise ships on one side and mansions on the other and sparkling water all the way around. 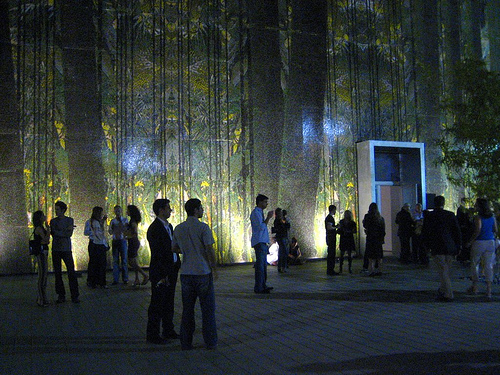 The attraction uses its surroundings to their advantage. The tropical landscape lends itself to the Parrot Bowl shows where vultures, cockatoos, swallows and more share center stage. 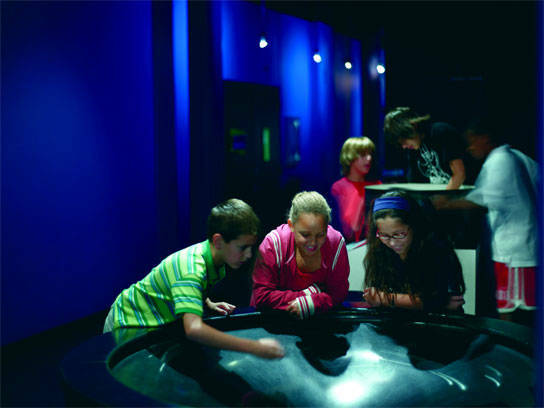 Exhibits around the Island feature several species of monkeys, snakes and birds including penguins, flamingos, American alligators, Burmese pythons, skunks, cobras and chameleons. They live among a variety of gorgeous plants and flowers that provide the grounds' beautiful landscape. They also make full use of their waterfront location by incorporating an area called "La Playa" (The Beach) where adults can lounge on a beach chair under an umbrella while the kids frolic in a 17-foot water slide. The view's unbeatable and it's a great way to cool off. Yes, warehouses are becoming the norm as a venue for showing art but the CIFO (short for Cisneros Fontanals Art Foundation) Art Space in Downtown Miami is something extraordinary. The state-of-the-art venue features contemporary art in their galleries while providing a lovely outdoor piazza for special events. The exterior is just as impressive, a striking building covered in greenery. Inside the galleries they're showcasing the extensive collection of Ella Fontanals-Cisneros including video, photography, geometric abstraction and contemporary works by such notable artists as Ana Mendieta, Fiona Tan, Andreas Gursky, Ed Ruscha, Manuel Espinosa and many others. They use the Piazza for plenty of art-related events and receptions and in December during Art Basel CIFO is hopping with daily tours for major art collectors in town shopping for the latest and greatest to expand their collection. Miami may be a young city but there's still a rich history to be learned and that's what the HistoryMiami CityTour provides for out-of-towners who want to learn about the place called "The Magic City." Tours are done by boat, coach, bike or on foot and feature some of the city's most historic and iconic spots. Dr. Paul George, a professor at Miami leads tours of The City of Miami Cemetery, where Julia Tuttle, one of Miami's most legendary pioneers, is buried as well as historic Little Havana homes , among several others. While long-time Miami resident Frank W. Schena leads the eco-history tours of The Redland Farm, Cape Florida Lighthouse and Miami Beach Boardwalk. The boat tours go to Elliot Key and Boca Chita while another goes to Stiltsville where seven homes are built on stilts in the middle of Biscayne Bay. This one's a sight to behold. Departure spot depends on which tour. HistoryMiami is located at 101 W. Flagler St. and it's best to call or visit their site to find the departure location. Keeping theatre contemporary, fresh and original might as well be Mad Cat Theatre Company's motto, it's what they've been doing around Miami for the past decade. Although a majority of their performances are one-time only there are a couple that have become part of their repertoire. There's the hilarious "Shepherd's Pie" filled with limericks and Irish humor and the hit play "Broadsword" which plays on the classic theme of the classic rock band break-up and the problems that ensue. Made up a group of talented Carbonell-award-winning actors, this wacky and intelligent troupe seeks to provoke, entice and challenge their audiences with original plays that touch on a variety of subjects folks can relate to. At times gut-busting and always memorable, it's always worth making time for a Mad Cat show. 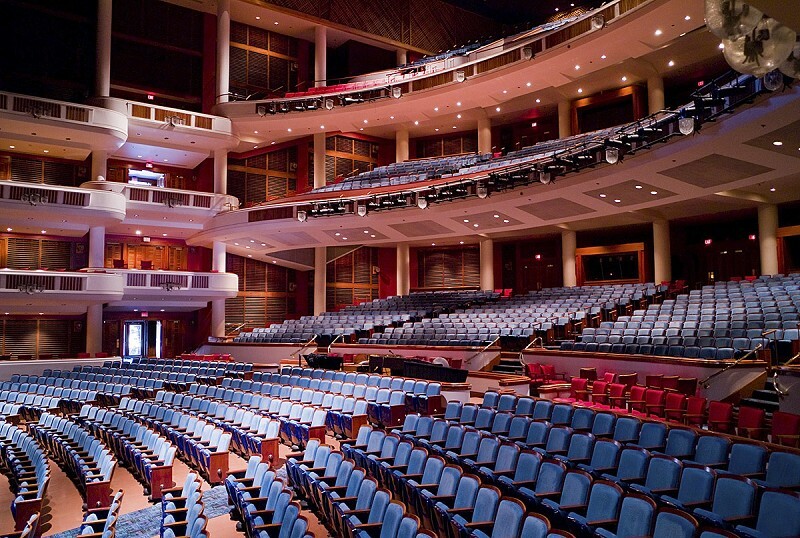 The company performs at the Adrienne Arsht Center at 1300 Biscayne Blvd. in Downtown Miami. Veteran cultural group Tigertail Productions, headed up by legendary director Mary Luft, is presenting another season jam-packed with musical and theatrical performances as well as spoken word events. They've been presenting passionate programs in performing and visual arts since 1979 and each year is better than the next. They're known for pushing the envelope and bringing recognition to lesser-known artists who they feel deserve their time on stage. 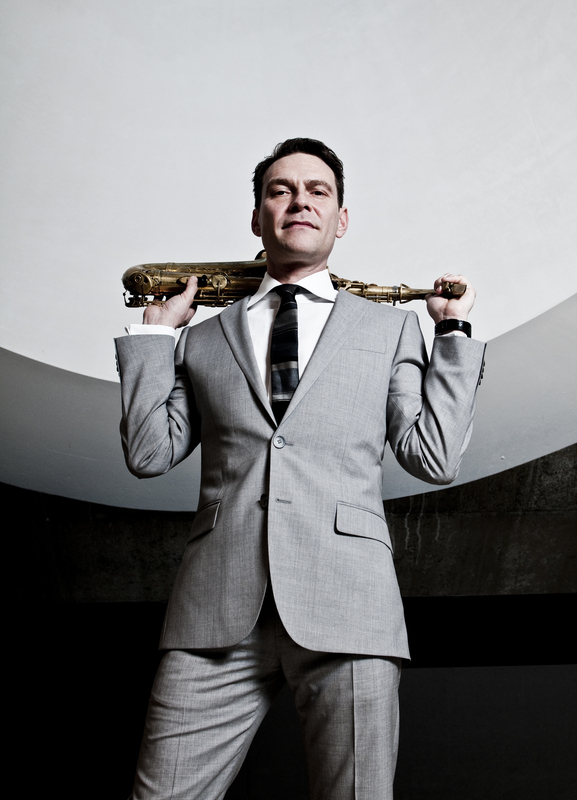 Gracing this season's calendar are Dutch jazz artists the Benjamin Herman Quartet, a variety of spoken word or "WordSpeak" events and workshops, blues legends Henry Gray & the Cats and jazz guitarist Bill Frisell. The Jess Curtis Gravity Dance troupe, featuring dancers from France, Germany, Italy, England and the United States, is an interdisciplinary mixed ability performance. And Japanese couple Eiko & Koma present their provocative performance piece "Raven." 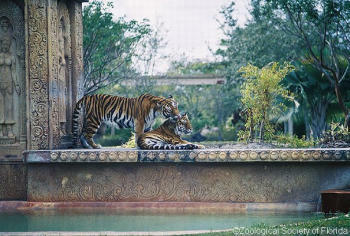 Tigertail's performances are held on Miami Beach, in Coral Gables and throughout Miami. 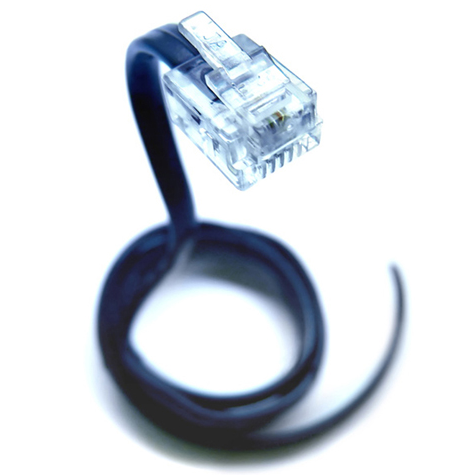 Visit their web site for exact locations. The gem and jewel of Miami, Vizcaya Museum and Gardens, is a tribute to the grandeur of Italian Renaissance art and architecture and although the structure looks as though it were built in that era, it was actually constructed by American industrialist James Deering who lived in the home from 1916 when it was finished, to 1925. 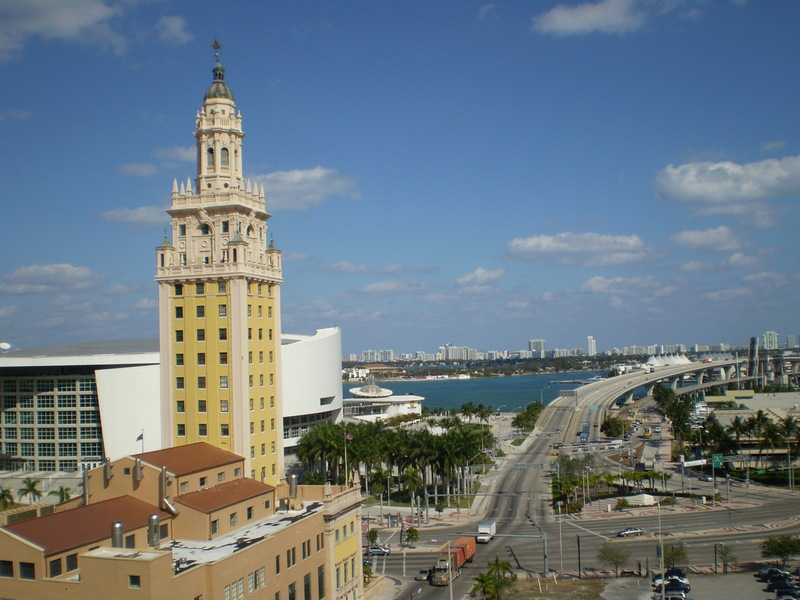 The grand structure which sits on Biscayne Bay, became a National Historic Landmark. The main house with its 34 rooms adorned with 15th through 19th century antique furnishings and art objects are the perfect complement to the lushly landscaped gardens. Overall, Vizcaya is the perfect way to take a trip to Italy while still enjoying all that Miami has to offer. Nestled in the heart of Miami's gorgeous and historic Old Cutler Road, in the middle of a neighborhood, is the crown jewel of Fairchild Tropical Botanic Garden. Established in 1938, this colorful and exotic attraction features an extraordinary collection of rare tropical plants including palms, cycads, and flowering trees and shrubs, vines and fruit trees, which are part of the Garden’s mission to preserve the biodiversity of tropical environments. Art collections are also part of the landscape at Fairchild with sculptures by world-renowned blown glass artist Dale Chihuly sharing space with the foliage and adding another dimension of beauty to the surroundings. 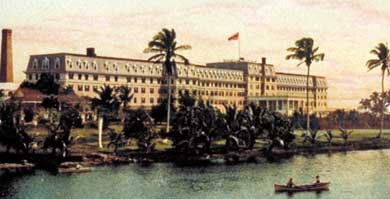 Yearly events like the International Chocolate Festival and their most famous the Fairchild Ramble held every November for more than 65 years. Ramble is where plant lovers go to get the best deals and best finds for their garden. Any time of year, a stop at Fairchild is a must, simply to take in this natural beauty and appreciate the conservation efforts of this wonderland. The dark and heavy wood bar that commands Waxy O'Connor's and is its centerpiece was placed at the heart of the bar and eatery to remind patrons they're in an Irish pub and the 7,000-square-foot unit is authentic, it was built entirely in Ireland and shipped over to the United States. The 20 brews and ales on tap and plenty more by the bottle are another dead giveaway that this is a place for drinking, eating, hanging with friends and especially catching just about any sporting event. They've got seventeen 50" flat screen televisions so everyone can be watching their favorite sport or team at any given time. Offering live music is another plus here. 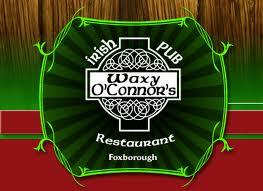 When the deejay's not mixing up tunes, there's someone playing it live at Waxy's. The amazing view of Miami's Downtown skyline and historic Miami River make for great waterfront drinking and gazing. With 148 Carbonell Award nominations and 43 wins, it's no wonder audiences flock to see GablesStage plays, which are presented in the historic Biltmore Hotel in Coral Gables. Perfecting their theatrical craft for more than three decades, the players at GableStage, led for the last nine seasons by Producing Artistic Director Joseph Adler, whose legendary and provocative productions have been making headlines in Miami since his arrival at the theater, is something no one at this venue takes lightly. Speed the Plow and A Lesson Before Dying are some of the award-winners and this season's comedy Speech and Debate and the drama Fifty Words could very well garner more accolades. The vigor and passion in the voices of Florida Grand Opera performers is exactly what's needed when presenting the classics this group puts on. 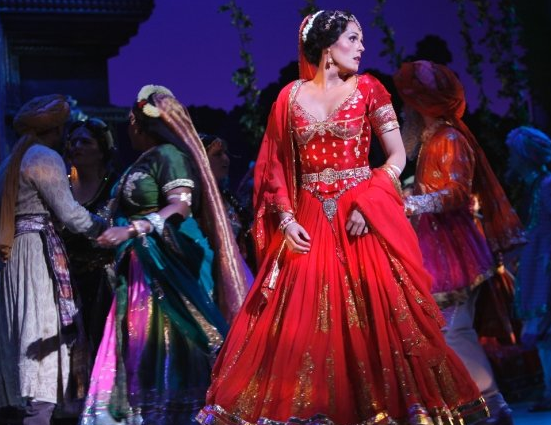 For 69 years, this premier organization has been wowing audiences with works from Pavarotti, Placido Domingo and Beverly Sills, opera greats who have all performed with the company. The Florida Grand Opera's latest incarnation of Bizet's Carmen garnered rave reviews and a packed house night after night. The company also presents other well known productions, like Barber of Seville, Pagliacci and La Traviata. 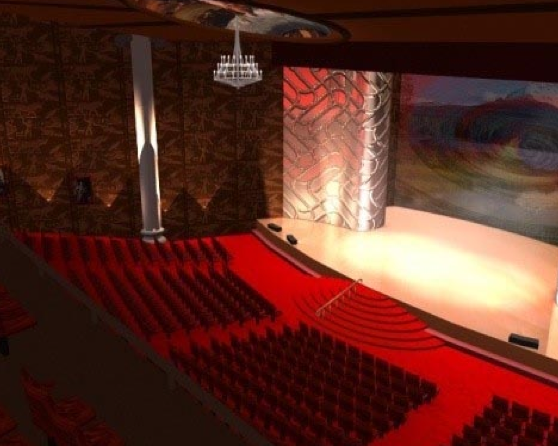 By far, this is the place in Miami to catch a night of electrifying live opera; the combination of powerful singing, gorgeous sets and theater make for a great night out. 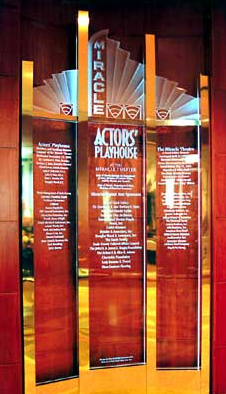 Housed in Coral Gables' historic Miracle Theatre, the Actors' Playhouse is one of Miami's premier spots to catch stellar stage productions for both adults and children. Impeccably restored, but still maintaining the look of another era with a neon marquee announcing the latest productions and a grand glass box office, the showcased plays are just as spectacular. The Actors' Playhouse continues to rack up the prestigious Carbonell awards- 57 and counting- and every season expect several classics alongside original plays by local playwrights. 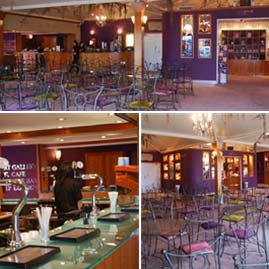 Catch a performance here and come away with a memorable evening. Whether it's laughing the night away at a comic's joke s or watching dancers soar and leap across the stage, Colony Theater is the place to catch a wealth of diverse entertainment. The calendar is packed with something for everyone with groups like Miami Lyric Opera, Miami Contemporary Dance Company and New World School of the Arts Music Department presenting world-class performances. 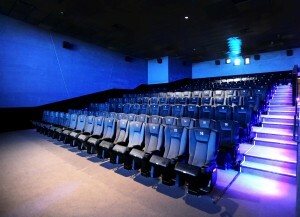 The venue has also become a hot bed for controversial plays and shows by Latin American artists, making headlines in the past year with attention-grabbing presentations. Watching a show here is like stepping back in time. The marquee and Colony Theater lettering are in Art Deco style and the look continues inside throughout the foyer with a multi-patterned terrazo floor, vintage chandeliers and a grand stage framed in Deco-inspired moldings. 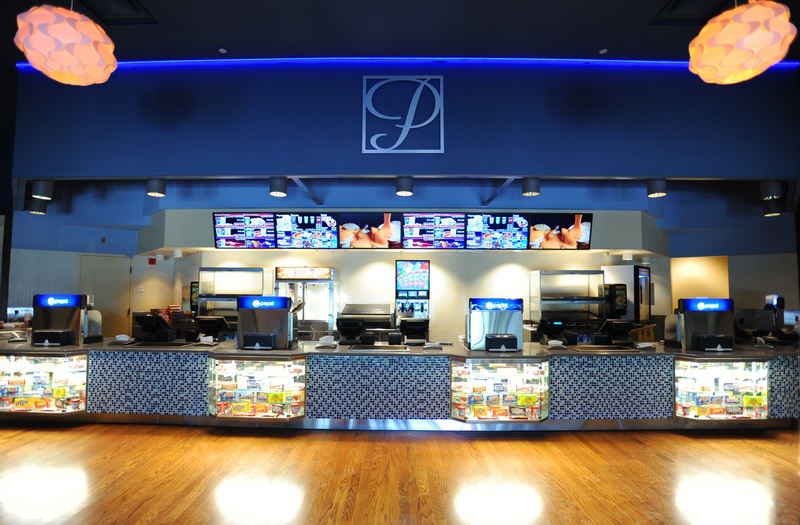 The theater may be inspired by the roaring 20s, but what's showing inside is fresh, new and in the moment. Explosive and provocative theatre with a twist is what's being presented at the intimate space that is the New Theatre, and it's been happening here that way for 23 years. The quality of plays continues to get stronger as the playwrights and artistic and managing directors constantly collaborate to bring award-winning theater to South Florida. Lovers of live theatre will recognize New Theatre playwright Nilo Cruz, who wrote the Broadway hit Anna in the Tropics, as one of the many writers churning out hits here. There are many surprises here, regularly offering seasons that feature classics like Shakespeare's Taming of the Shrew alongside an original work by local favorite Michael McKeever, who has been exciting audiences with his original plays for years. In other words, there's something for every taste here, and that's always been the theatre's forte. Once this place gets going, and since it's Miami that means LATE, the island rhythms and heavy percussion that emanate from this tiny place in the heart of Calle Ocho in Little Havana are intoxicating. Hoy Como Ayer is a trip to the Cuban Havana of old with a blend of sounds from the present day hot Latin acts that have made a name for themselves in the Magic City. Hoy Como Ayer (which means "Today Like Yesterday") is consistently ranked by most local publications as the best place to catch Latin performers, because the best play here. Cuban-born singer Albita performs here regularly, the Latin-funk-fusion band DJ Le Spam, and the All Stars (they're local faves and always pack the house), along with Luis Bofil and David Bisbal all grace the stage. It's one giant jamfest here from Wednesday to Sunday and the drinks are, of course, the best, from refreshing Mojitos to the rum and cokes, better known in Miami as "Cuba Libre." 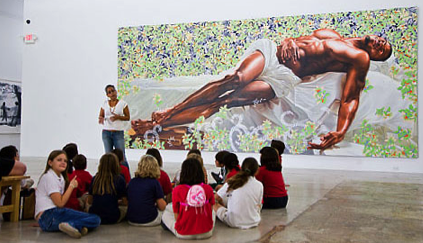 Innovative and thought-provoking art is what the Miami Art Museum strives to present to art lovers. With contemporary greats, like photographer Chuck Close, icon Robert Rauschenberg, and artists Wilfredo Lam and Jose Bedia featured, there's no doubt the envelope is being pushed to the max. The rule of admiring works of art from afar does not apply here, the installations, paintings, and sculptures beg for the viewer to become engrossed in the work, examine it and in essence become affected by it. 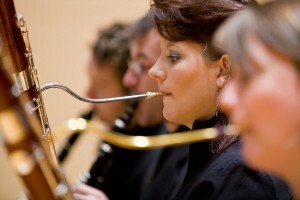 Besides the permanent collection and traveling exhibits that are presented, the MAM offers the monthly happy hour, Jam at MAM, featuring varying jazz performers, nibbles, and cocktails, as well as regular lectures to coincide with the show schedule. 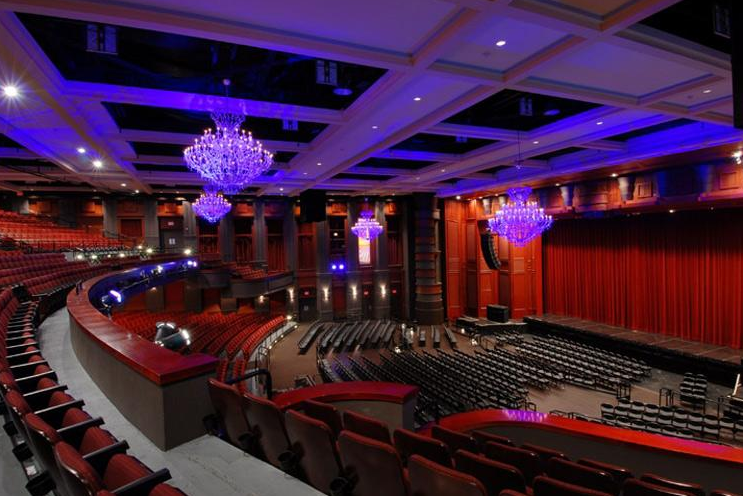 The gem of South Beach performance spaces, the Fillmore Miami Beach at the Jackie Gleason Theater, has had several name changes, but the quality of performers and the elegant, commanding presence of the space is everlasting. The grandiose theater is treasured by locals and the many performers who grace its stage. So beloved is the Fillmore, it recently underwent a massive renovation to restore it to its original beauty, and added some modern touches that brought it into the 21st century. The exterior is all Art Deco, with geometric lines and blue pastel coloring. The interior, though, is a cross between 1920's elegance and a modern club scene, like the ornate grand crystal chandeliers that are hued with purple lighting. Any artist would want to grace such a majestic stage, and they do, from all genres and eras. Where else does legendary singer Stephen Stills of Crosby, Stills, Nash and Young, indie rockers Arctic Monkeys, and comedian Chelsea Handler of the "Chelsea Lately" late night talk show appear in the same venue? It all comes together at the Fillmore Miami Beach. 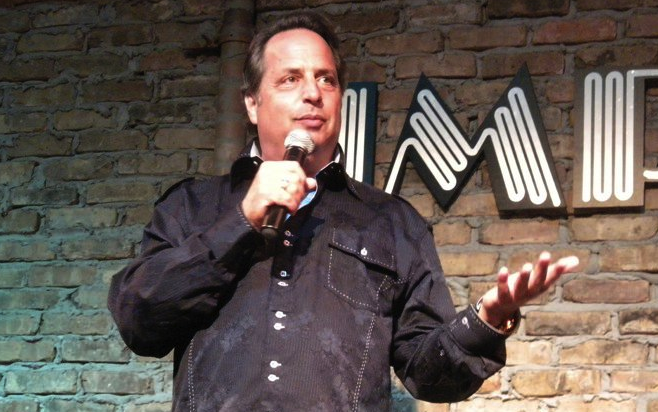 With the hottest comics around, including Steve Martin, Jim Carrey, Jerry Seinfeld, Ellen DeGeneres and Robin Williams, getting their start at the Improv Comedy Club, chances are today's comics at Miami's Improv are the next big thing. Housed inside the classic open-air shopper's paradise, Mayfair Shoppes, the Improv packs them in on a weekly basis with stellar line-ups featuring the best in the funny business. For example, joker Gabriel Iglesias has appeared on Comedy Central's Premium Blend as well as the Tonight Show with Jay Leno, while LA-based Darren Carter is a favorite on the comedy club circuit for combining comedy, sketch and impersonations into his act. To see up and coming comedians, the Improv Comedy Jam, held several times a month, is a great show to catch. Also considered a dinner theatre, the grub here is good too, with an impressive menu of appetizers, entrees and drink specials to please any palate. 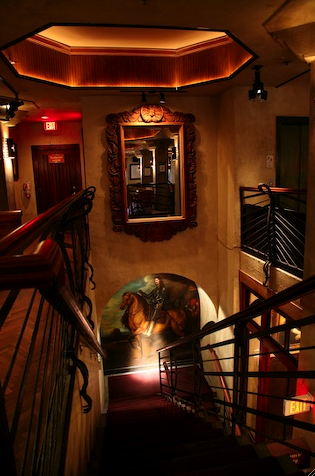 Overall, it's a great place to unwind at the end of a busy workday and laugh hard and eat hearty. Brook Dorsch moved his namesake Dorsch Gallery to the Wynwood Arts District 10 years ago, before there was an arts district. But just like how he's got an eye for cutting edge art, this pioneer's got an eye for location. The (very) recently renovated Dorsch Gallery has gone from newbie to icon status. Close to two decades in the biz and Dorsch is still presenting thought-provoking art exhibitions, and in these warehouse digs he's expanded to presenting concerts, film festivals and a host of cultural events. Expect the unexpected with installations featuring four stand-up concrete slabs, sculptures that seem to protrude from the ground, and geometric paintings that boggle the mind and trick the eye. He's always got a stellar line-up of shows that are great to catch at the beginning or the end of a cultural outing to the Wynwood area. Lincoln Road has evolved into an eclectic mix of well known chain stores, smaller boutiques and stand-alone restaurants, but the one place that has stood the test of time on this pedestrian strip of road is the Van Dyke Cafe, where the jazz is always playing. The place is reminiscent of a speakeasy jazz club with soft lighting, intimate seating and stellar performances of Latin jazz, AfroCuban, soloists and jazz quartets. 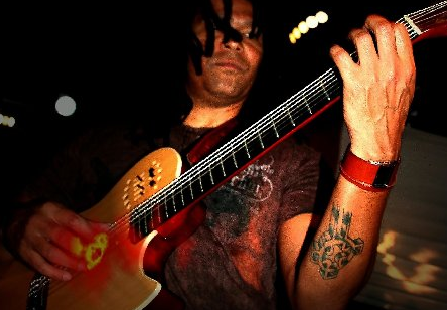 Local legend Maryel Epps still performs at Van Dyke and has been for more than a decade! And joining her are local faves Palo! and Conjunto Progreso. Catch a vibe from another era at this classic spot, a perfect way to either start or end an evening on South Beach. There are no boundaries or limits when it comes to exploring the contemporary performance world, at least not for the Miami Light Project, who has spent the last two decades perfecting their craft and becoming Miami's premier contemporary art forum. Searching for the most innovative form of expression in live performance, MLP is a place to discover groundbreaking local and global artists in music, dance and theatre. The Miami Light Project taps into the beat of the city by offering hip hop acts and world music groups. The annual Here & Now Festival is a great place to see up and coming fresh acts, but don't sweat it, there are special events year-round. 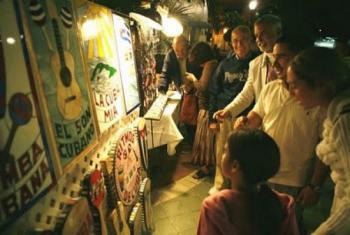 Performances are at venues around the city, but mainly on South Beach and Downtown Miami. The Bass Museum of Art has an expansive and impressive collection of art - and the building the works are housed in isn't too shabby either. Placed on the National Register of Historic Places in 1978, the one time Miami Beach Public Library is now the centerpiece for today's historic district. Expanded a few years back, the original building and the new wing are home to a massively impressive 500 piece permanent collection that includes paintings, sculptures, works on paper, decorative objects and textiles by greats like Rubens and Boticcelli to modern art. The Bass also has cool, fun events like Hot Nights & Cool Jazz at the Bass, complete with buckets of beer, to scavenger hunts on Family Fun Days. 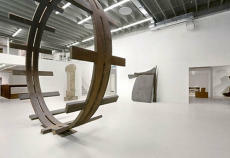 The traveling exhibitions feature modern art, video and photography and are definitely worth a special visit as well. Master ballet choreographer George Balanchine had a protege once, his name was Edward Villella and he is now the artistic director of the Miami City Ballet. Even though Villella has made a name on his own, with an induction into the Dancer's Hall of Fame in 2004, it's no wonder a major chunk of the troupe's repertoire -- which numbers 88 ballets -- are Balanchine-choreographed pieces. The troupe's international blend of dancers have performed with the Paris Opera Ballet, the American Ballet Theatre, The National Ballet of China and the San Francisco Ballet, to name a few. This season, on top of the Balanchine pieces, there are nine world premieres in the mix. Check them out this season as they leap, twirl and float across the stage at the Adrienne Arsht Center in Downtown Miami. Who says you can't have a history lesson while vacationing in another city? Well that's exactly what the Historical Museum of Southern Florida in Downtown Miami provides as one of the largest private, regional historical museums in the country . Housed in a fortress-like structure, the museum is home to an impressive collection of objects, prints and photographs that depict the influence that Native Americans as well as Caribbean residents had in forming and shaping South Florida. The history of the founding individuals as well as the history of the aviation, maritime and tourism industries in South Florida will leave you with a sense of knowledge of how the southernmost area of the Sunshine State came to fruition. 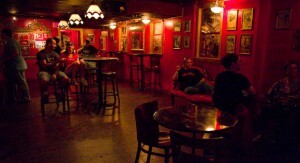 Nearly a century Tobacco Road has been open, in the same location, making it a Miami institution for live music. It first opened its doors during the prohibition days and obviously things have changed a bit since then with the addition of legalized alcohol and some of the best live music in Miami. They've been playin' the blues at this place for years now, featuring an undisputed line-up of local musicians as well as established blues and rock acts that grace two tiny indoor stages (ground floor and second floor) and out on the patio. There's always a reason for a party at Tobacco Road, whether it's a blues festival or to celebrate yet another birthday- whether it be Gloria Estefan's or another notch toward the century marker! After more than a decade of showcasing the icons of contemporary art as well as displaying exhibitions by up and comers, the Museum of Contemporary Art in North Miami's yearly exhibition sched ule continues to feature innovative shows. 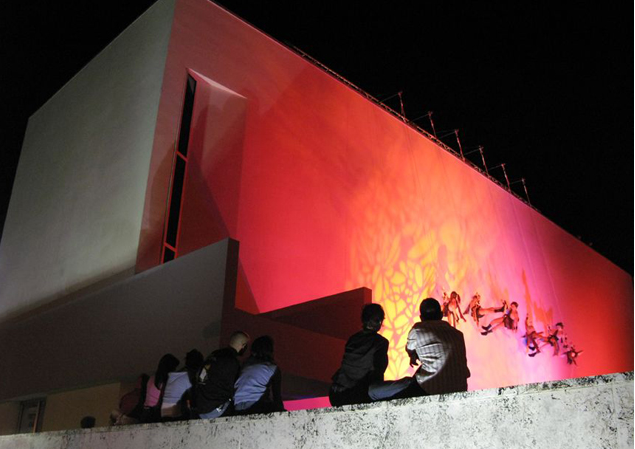 The museum's permanent collection is a representation of installations like "Paradise Lights" by Jack Pierson, a neon sculpture that adorns MOCA's exterior walls and is a piece to admire at the Museum's many special events. Among the other collection pieces are mixed media works, oil on canvas, digital media and photographs by contemporary artists Nan Jume Paik, Jose Bedia and Enoc Perez. Programming is a major focus here too, with the museum open late on Wednesdays for MOCA by Moonlight and plenty of art classes and lectures on the weekends. The string section is lulling, the horns are blowing and the ultimate in guest artists are doing what they do best to the baton of world-class conductor Michael Tilson Thomas. This exciting scenario takes place every tim e the New World Symphony takes the stage at Lincoln Road's Lincoln Theatre, a beacon of culture on South Beach. Tilson Thomas and his posse provide a twist on traditional classical music by performing lesser known pieces as well as original compositions. These pioneering musicians have garnered a respected reputation by constantly evolving their repertoire over the last two decades making each performance a mind blowing, exciting, and unforgettable experience. Nestled in the quaint community of Coconut Grove is a jewel o f a park that takes visitors back to another era- and has one of the best bay views in the city. 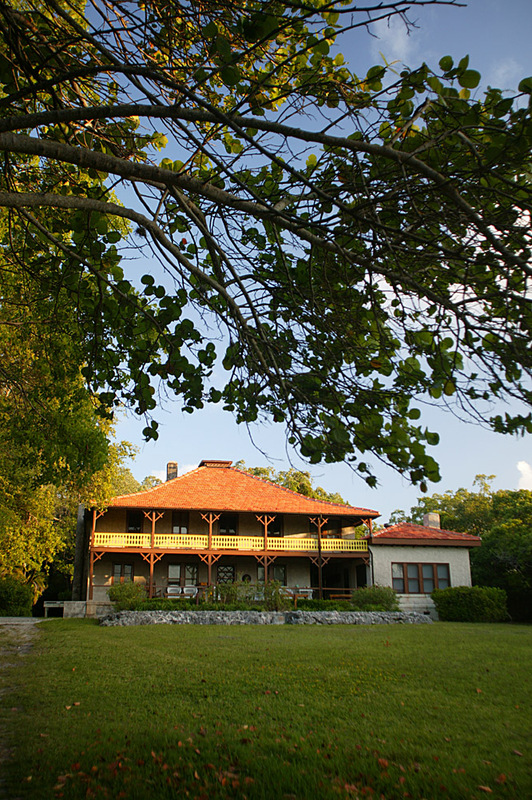 Wind down tree-lined Main Highway and come upon the Barnacle Historic State Park, once the home of pioneering Miamian Ralph Middleton Munroe, to catch a glimpse of life in Miami in the late 1800s. The place has grounds that rival a scene from the Great Gatsby and the house is just as grand with a bird's eye view of the bay from the home's balcony, an open rotunda attic with wrap-around carved railings, skylights and intricate furnishings in every room. 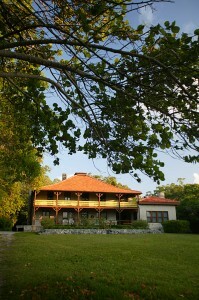 The boathouse, where Commodore Munroe built his vessels, and shaded pathways throughout the property add to the tranquil setting. The Barnacle is more than simply a house to admire, they also house many activities that can make this landmark part of your weekly routine. Every week there is a yoga class that allows you to get the serenity and tranquility of the locale while also burning some serious calories. Throughout the year there are also many special concerts that take place on the grounds. Enjoy the old and the new, but always a beautiful setting, at The Barnacle. The hypnotic moves of Miami's stellar dance troupe Momentum Dance Company, who have been g racing stages around the city for more than two decades, makes for a mesmerizing experience. A show by Momentum always holds some kind of surprise with their ingenious creativity. The repertoire of numbers conceived by artistic director Delma Iles are so popular that dance fans have come to expect them, like "Sand Dance," a solo effort by Iles that incorporates a single spotlight and sand into the performance. Performing all over the city, this contemporary group is known for inventive and innovative moves and haunting performances that captivate the audience and leave them wanting more. 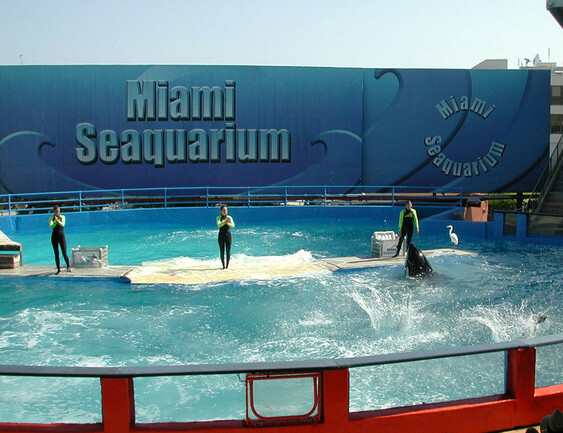 Make a point of catching Momentum while in Miami or risk missing an unforgettable experience. Check out their website to find out when the next performance is taking place. 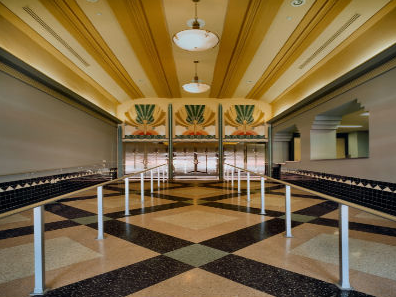 It's housed in a grand Art Deco building in the heart of South Beach, but what's inside the Wolfsonian Museum is a design collection that's unlike the Miami architecture, spanning from the late 1800s to the mid-1940s and featuring European and American pieces. The multi-level structure is a vast wonderland of art, furnishings, objects, and memorabilia to suit any art lovers' taste. Collector Micky Wolfson has amassed a thinking man's collection focusing on the thought-provoking era of Decorative and Propaganda Arts. The Museum's exhibitions and programs are an extension of the permanent collection's theme and explore the important role of design during the industrial age through social, political, and technological topics. 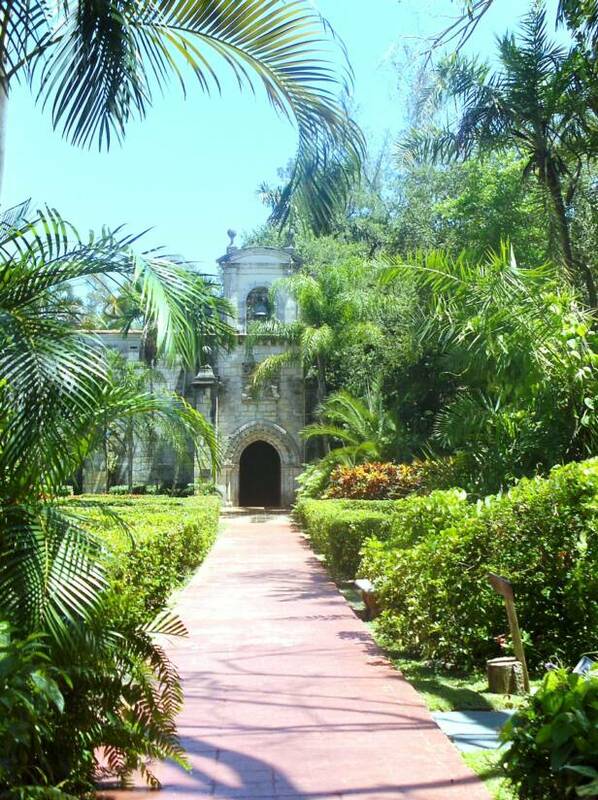 Tucked along a winding, tree-lined street in North Miami Beach is a be autiful sanctuary called the Spanish Monastery, a building from the 1100s that's the perfect spot for escaping the rat race by entering into a bygone era. The structure was dismantled in Spain where it was created, and transported to North Miami Beach in a whopping 11,000 crates after newspaper magnate William Randolph Hearst purchased the property. The Spanish influence still rings through with the luscious and impeccably manicured gardens, European-inspired statues, and open-air courtyards and hallways among the stone structure. Grand gated entrances lead to various brick pathways that feature stone benches that are ideal for reading, painting, or just enjoying the fresh air amongst the breathtaking landscape. It's the perfect place to relax and enjoy the Miami sun with some European flair. Country Club of Miami is comprised of two beautifully manicured golf courses, with lush fairways, newly re-grassed greens and 36 championship holes. A Robert Trent Jones design, the club was founded in 1961, with Arnold Palmer as its first professional. As Country Club’s most famous member and resident, comedian-actor Jackie Gleason played host to celebrity golfers including Bob Hope and Bing Crosby. Jack Nicklaus played his first professional tournament and Lee Trevino won his fourth professional at the club. Awash in pastel and mostly under cloudless blue skies, the Art Deco Historic District is a feast for the eyes for both its architecture and the beautiful people that spend time there. Lovingly restored in the 1980s by the Miami Design Preservation League, the District is where it's at. 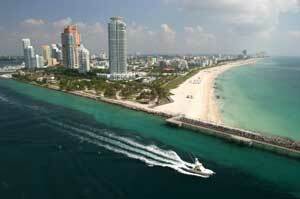 Celebrities flock here and Ocean Drive has long been considered the American version of the French Riviera. 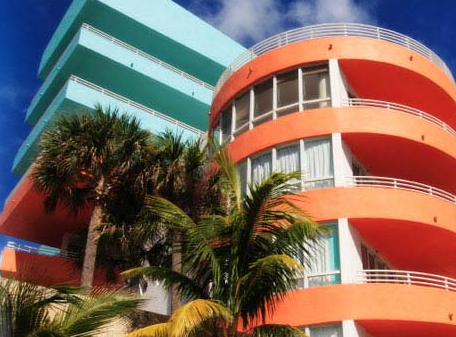 Stroll along famed Ocean Drive and Lincoln Road Mall, funky Washington Avenue and chic Collins Avenue to take in historic buildings that were all the rage in the roaring 1920s and have stood the test of time. Architect Morris Lapidus put the area on the map with his unique designs, check out the legacy he created. 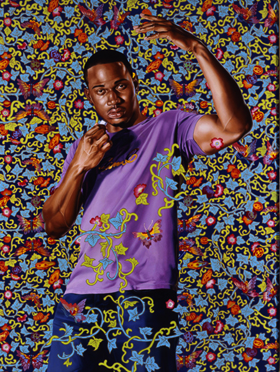 Come see one of the best collections of contemporary art in the world. The Rubell Family Collection was one of the initial galleries to move into the hip and happening Wynwood District in 1993 and calls a a former Drug Enforcement Agency warehouse home. The 45,000 square foot space showcases work by contemporary giants including Andy Warhol, Jean Michel Basquiat, Cindy Sherman, Julian Schanbel and Jeff Koons. It's obvious that Don and Mera Rubell, who started the collection shortly after they were married in 1964, know a little something about art collecting and shared a passion for it from the start. They've passed that on to their children Jason and Jennifer who are now collectors themselves and run the place for their parents.